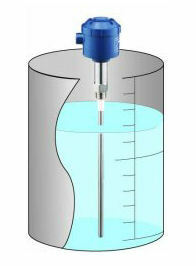 Measure changes of liquid level using the capacitance principle. Low price and high precision can be compatible; cost reductions are possible! Compact design with amplifier integrated into the case, and it is a continuous measurement type. A variety of sensor electrodes are offered. The sensors are washable and corrosion resistant. Special models to match customer specification are also available on request. This meter can measure stably in harsh environments with high temperatures and pressures. Low price and high precision can be compatible; cost reductions are possible! The integral amplifier model (a non-integrated model is also available) is compact and does no occupy much installation space. *This video introduses perfect water proof. Ex. : Tap water, pure water, distilled water, alcohol, etc. Click here to see various amplifiers and electrodes.